It is a gathering of friends and family over food and drinks to benefit the Autism Society of Boulder County. Not only are some of the best chefs from around the country all going to get together in one place, and for a good cause, but anyone in the country has an opportunity to win some amazing prizes in the Jack’s Benevolent Bash raffle. 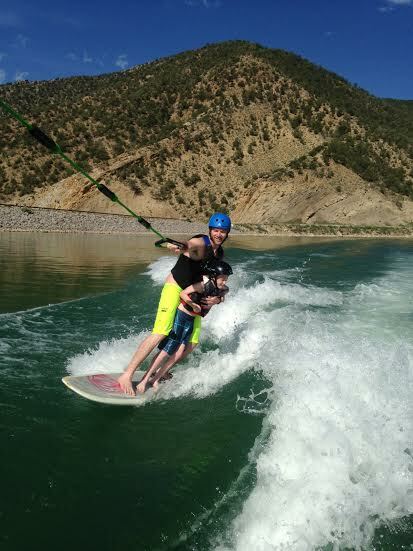 Nathan Julyk is an ASBC Send a Kid to Camp grant recipient who learned waterskiing at camp Ascendigo in Glenwood Springs (formerly Extreme Sports Camp). The camp is autism-specific and it has broad benefits beyond the fun! Jack Ferrigno is the inspiration for the Send a Kid to Camp grant started by Chef “Smitty” at The Post Brewing Co.
Head Chef for The Post Brewing Co., Brett “Smitty” Smith, is the founder of the Jack Ferrigno Send a Kid to Camp Grant in honor of his former boss, Zozo’s Ristorante, St. John’s Chef John Ferrigno’s son, Jack, who lived with autism and passed away in 2008 at age 6 due to complications resulting from a seizure disorder, just two months after Smith left the Virgin Islands. Autism spectrum disorders affect different kids in different ways, from social disorders to physical problems. 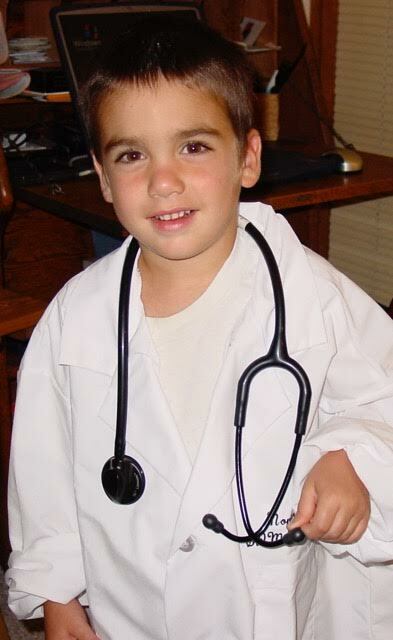 The Jack Ferrigno Send a Kid to Camp grant program helps parents provide special needs kids with resources for therapeutic activities during summer months, which can be a financial strain on families. 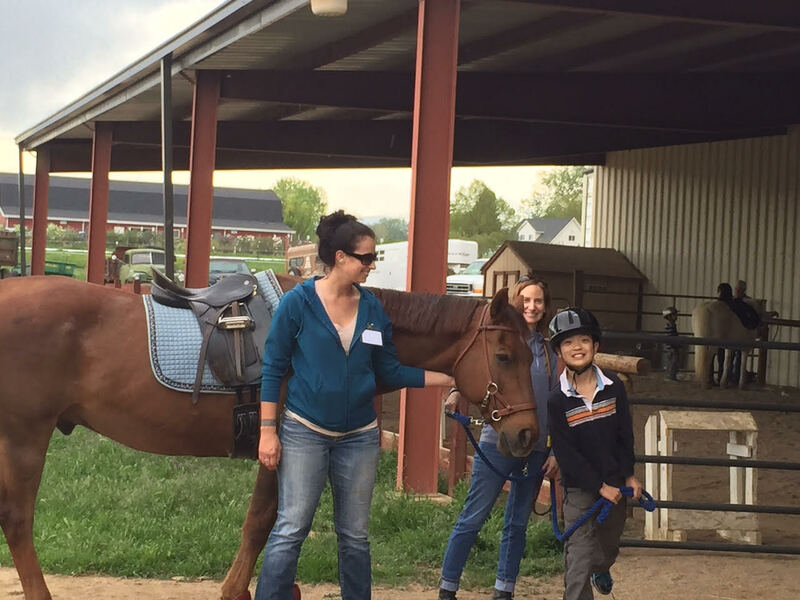 activities and programs – from horseback riding to sleep away camps – and in four years, Jack’s Benevolent Bash has been able to raise more than $75,000 and sent some 150 kids to camp. 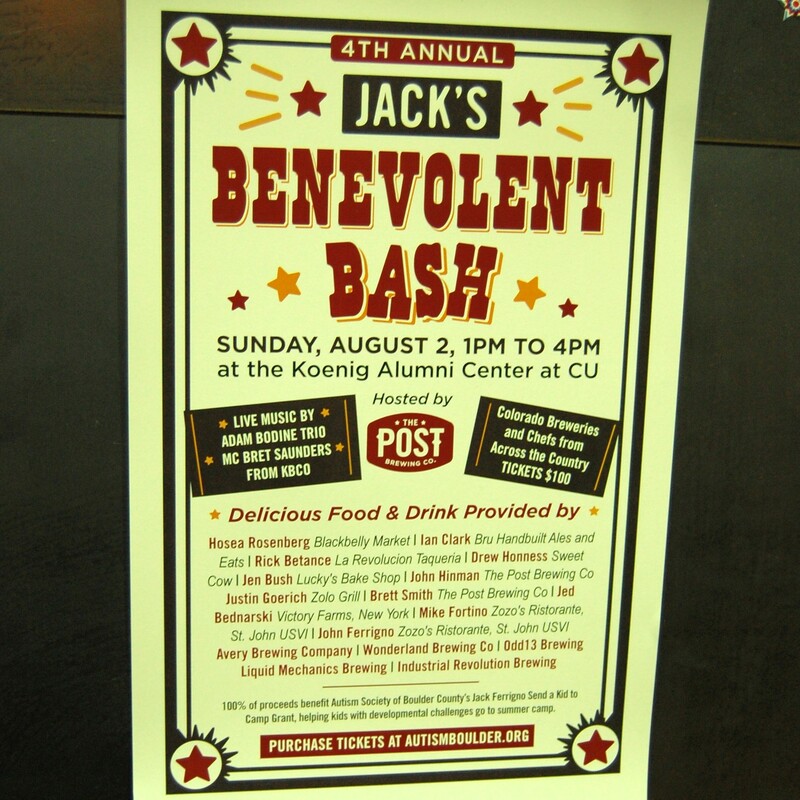 The fourth annual Jack’s Benevolent Bash takes place Sunday, Aug. 2 from 1-4 p.m. at the Koenig Alumni Center on CU’s campus. Tickets are available through the Autism Society’s website www.autismboulder.com. The Post Brewing Co. is hosting the event for the second year, with almost all of the chefs and breweries returning again this year – it’s a sort of mini culinary family reunion. Smith’s daughter was age 2 when he and his family left the Virgin Islands. Ferrigno’s daughter was close in age, and the two have been able to grow up together throughout the years by way of Jack’s Benevolent Bash. Both of Jack’s parents and their children, along with members of Smith’s family will be attending this year’s event. Smith said it is a great event to celebrate together for a good cause. John Hinman The Post Brewing Co.
Brett Smith The Post Brewing Co.
Wine and cocktails will also be served, as well as music from the local and talented Adam Bodine Trio. Also returning for a second year is radio personality Bret Saunders of the KBCO Morning Show. *The Autism Society of Boulder County – Board of Directors (ASBC) helps individuals with autism spectrum disorders and their families develop a strong, united community by creating opportunities for people to connect, share experiences and build new relationships. The money raised from this raffle will fund our “Jack Ferrigno Send a Kid to Camp” program. This program allows people with autism to attend therapeutic and recreational clinics that teach skills like bike riding independently, skiing, snowboarding, skateboarding and many other activities. Opportunities like these are highly motivating for our kids and can have far-reaching benefits. They are drawn in by the fun, and before you know it, they are expanding their social skills and building their confidence. Previous Previous post: Hello Rowdy Mermaid!